The Brilliance of Beauty. Luxurious treatment for day and night. Diamonds is to be used morning and evening under your day and night care for vitalization. Mix the cream well before the first application. As additional care for the skin from 35 and stressed skin. 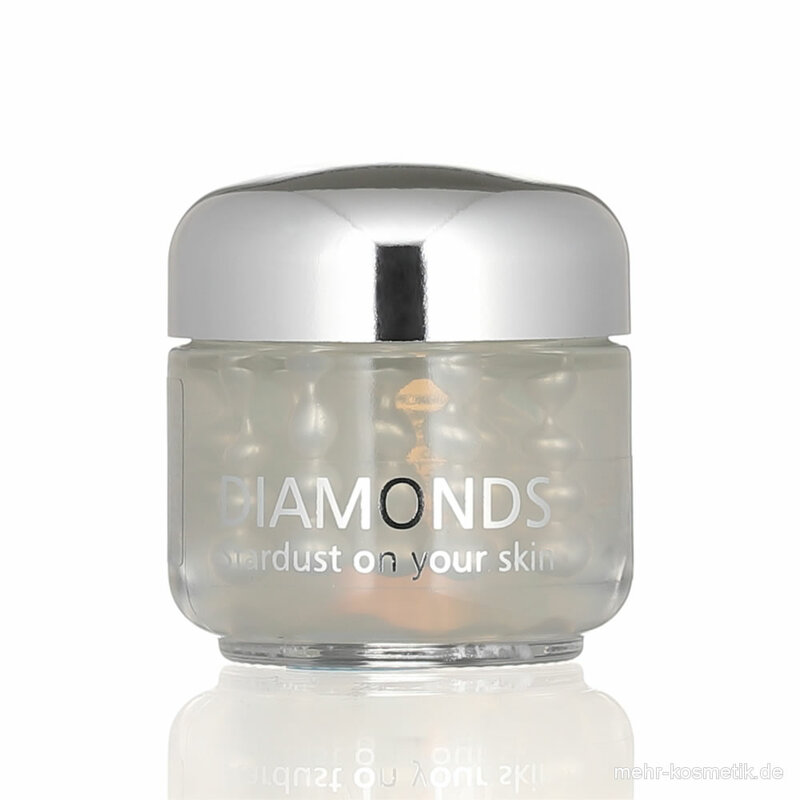 Diamonds contains diamond dust, soothing aloe vera, restorative panthenol, moisture-binding hyaluronic acid and vitamin E as well as an extract of bamboo, which is naturally rich in vitamin C, lactic acid and silicic acid and thus tightens the connective tissue. Diamonds makes the skin more resistant to harmful environmental influences. Vitamin C increases the elasticity and resilience of the skin. Vitamin E prevents changes in the cell organism that damage the skin and accelerate the aging process. Even a small amount is enough to feel the invigorating effect directly and to feel a feeling of clarity.